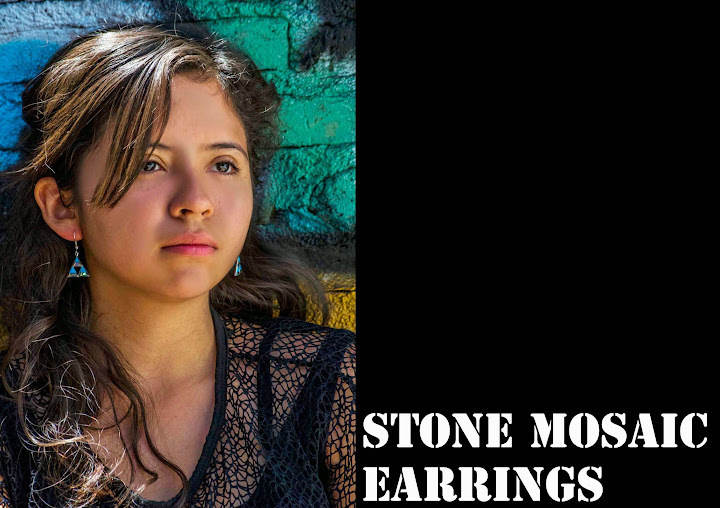 Stone Mosaic Earrings. Worldclass lapidary art. Silver Overlay armazon. Handcrafted ear wires the safest thing you can put in your ears. Blue heart shaped abalone shell earring (medium) with blue star chaquira flower. ED3-WB-004| Long Drop in Dalmatian and Buffalo Earrings.